Show your children good money and financial habits to help them for their entire lives. Parents are our children’s greatest role models. The way we act, what we say and our views on life are watched and listened closely by our children. This also includes our own money habits and attitudes. How do you think you are seen through the eyes of your children? Are you a compulsive spender, do you stick to a budget, how is money spoken about in your home? Do you buy them everything they want? 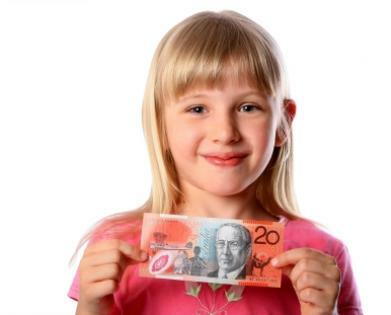 All these things can contribute to the way children develop their attitudes to money. There is a saying with regards to money “It’s not what you make it’s how you manage it”. Do you think you are doing a good job and if so are you teaching these important habits to your children? Teaching your children to be good money managers could be one of the most valuable lessons you could give your kids. A US study found that kids are faced up to 9,000 advertising messages a day. They will be faced with constant temptations as they grow into adulthood and it's important that you have them ready. Here are some tips to help get you on track. Firstly let’s start with you – write down three positive and negatives with regards to your own money habits. Then ensure you talk about your positives and work to improve on your negatives. Explain the differences between needs and wants. Not everything is a need!! Shopping trips are fantastic learning opportunities. Get them to learn to shop around and compare prices to get the best value. Take them grocery shopping and teach them about sale items and the per gram on price tags and if you are good at stocking up on sale items explain to them how much you have saved by doing that. Show them how much electricity and telephone bills cost and involve them in helping save on these bills. Maybe give them an incentive to work towards getting your bills down for example turning off their computers and lights. From a young age teach them about deferred gratification; if they want something they have set up a savings plan to earn a enough money to pay for it. Explain the gimmicks of advertising. Is t really as good as it sounds? Remember the saying “if it sounds too good to be true, it probably is”. If they have started a job allocate a certain amount of their pay into an account they cannot easily access. Do not put the whole pay into the account where they can get the money from an ATM because they’ll spend it. Explain how compound interest can work for you (interest bearing accounts) and particularly in relation to Credit Cards. Do not put anything on a Credit Card if you know you can’t afford to pay it off in full next month. Use a Debit Card instead of a Credit Card. Kids need to learn about earn and reward, don’t just give your kids money for nothing. Learn to say “no” and not feel guilty about it, this will pay off for your children in the long run. Remember greed is the scourge of our society!! Some millionaires say that “the best things in life are free or reasonably priced” and they believe the foundation stones of financial success are integrity, discipline, social skills and hard work. Everyone is capable of achieving these things and your children need you to guide them in applying these qualities to their own lives and finances.